10 MILLION people have watched these videos. But the Irish media don't want you to see them. WHY? The video is one of a series (see them all below) made by investigative journalists from the Center for Medical Progress. Abortionists from Planned Parenthood – a huge abortion chain - have been caught on camera discussing how to obtain and sell organs from the babies they plan to abort. (In Ireland, Planned Parenthood operates as the Irish Family Planning Association and has received MILLIONS in taxpayer funding. The IFPA have refused to condemn the harvesting of aborted baby body parts). What the videos reveal say is horrific - and the barbarism of these abortionists is revealed in their own words. Dr Mary Gatter of Planned Parenthood discusses how best to ‘crush’ the baby to make sure the liver or other organs required for sale are left whole stating that "less crunchy technique" must to used to ensure "more whole specimens." Dr. Gatter also stated while haggling for higher prices for aborted baby parts, that she wants to earn enough because she ‘wants a Lamborghini’. 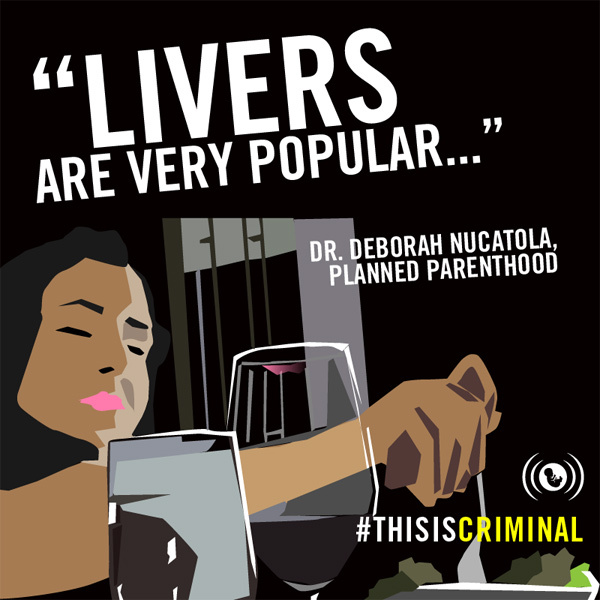 Dr. Deborah Nucatola, Planned Parenthood's Senior Director for Medical Services, boasted to an undercover investigator, "We've been very good at getting heart, lung, liver." Planned Parenthood clinic workers are filmed going through aborted baby parts and saying “It's a boy." The videos have led to Planned Parenthood being defunded in some states and a major investigation is now underway in the U.S. So why haven’t you heard about these videos in Ireland despite the furore they have caused abroad. Because the pro-abortion Irish media want you to believe that abortion – and the abortion industry – is a good thing. But the reality is that abortion kills a baby and harms a woman. And we now know that abortionists just want to make money: by killing babies, by exploiting vulnerable women and by selling baby parts for experimentation. Watch ALL the videos. Share them. Call for the IFPA – the Irish branch of Planned Parenthood - to be investigated. Make sure Ireland offers a better answer than abortion. VIDEO NO 9: PP Baby Parts Seller: Intact foetus "just fell out"
VIDEO NO 10: Top Planned Parenthood Execs discuss selling parts and can make "a fair amount of income"